Results Matter. Call the MILLION DOLLAR MAN. Justice, for people like you. "My experience has been wonderful! Everyone in the firm has been extremely helpful and sweet! Thanks for helping solve this with me. I couldn’t be more pleased. I was very happy with everything done for me here at Kiley Law Group! I would recommend anyone who asks of a great place to go if they need a personal injury lawyer. Thank you for everything!" The experienced lawyers at Tom Kiley Injury Lawyers of Massachusetts have been representing accident victims throughout the state of Massachusetts for more than 40 years now. During that time period, we’ve obtained more than $400 MILLION DOLLARS on behalf of our clients, helping them recover financially so that they can begin to put their lives back together. If you’ve been involved in an accident resulting in major injuries, DO NOT HESITATE to contact our experienced legal team. The insurance company knows how to hinder your injury claim. Insurance companies know how to reduce the personal injury damages you can recover. Time is of the essence, and every extra minute can help us build an even stronger personal injury claim on your behalf. The concept of personal injury law is simple: If you were hurt, or a loved one was killed, due to another’s negligence or recklessness, you have the right to hold them accountable and seek compensation for resulting damages. 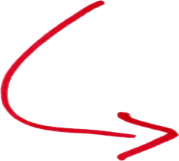 The process for recovering compensation, however, is more complex. Insurance companies often attempt to limit what they pay, which leaves injury victims and their families uncertain of how to cover the full extent of their medical costs and any long-term rehabilitation. This is why it’s advisable to discuss your situation with an experienced attorney who can help you understand your options and pursue just compensation on your behalf. Even injuries that seem relatively minor can be accompanied by lasting effects that require costly medical treatment. And severe injuries can result in medical costs that are financially crippling without fair compensation. Should the injuries result in death, family members may also be able to recover funeral and burial expenses through a wrongful death claim. Brain injuries are often a byproduct of motor vehicle accidents, especially motorcycle accidents, but they can also occur in slip-and-fall accidents and other incidents. Likewise, brain injuries can vary in their severity; some allow a full recovery, while others such as traumatic brain injuries (TBI) can result in a need for lifetime care. Even comparatively minor head and brain injuries can lead to massive medical costs. The Kiley Law Group has an extensive record of success in cases involving brain injuries, and we understand the expenses and long-term effects faced by victims and their families. Please contact us today for a free consultation with a knowledgeable attorney if you or a loved one sustained a head or brain injury in an accident caused by another. Though full recovery from a broken or fractured bone is often possible, the recovery process may be painful, sustained and financially crippling. On some occasions, there may be lingering, chronic discomfort or other lasting effects that were not anticipated causing hardship long after the accident. Catastrophic injuries are those that cause severe, life-changing impairments for victims. These injuries include traumatic brain injuries, spinal cord injuries, amputations, paralysis, and severe burns. Catastrophic injuries affect both the victim and the victim’s family, and they can require costly, long-term medical care. Dog bites can cause severe and costly injuries, especially to children. In Massachusetts, dog owners may be held accountable for injuries and other damages related to dog bites. There are exceptions, however, including trespassing and abusing or otherwise unreasonably provoking the dog. Paralysis typically occurs as a result of damage to the nervous system, such as that sustained in the impact of a traffic crash, and it causes a loss of muscle function and sensation in the affected area. Paralysis can be partial or full; though feeling and function can return in some instances, the effects are often permanent. Due to the high costs of paralysis treatment, rehabilitation and long-term care, it’s important for injury victims and their families to understand their legal options if the injury was the result of another person’s negligence. Burns are some of the most painful and serious injury types. Even first degree burns can cause medical complications that impact a claim. Burns can be of a light, thermal, chemical, or radiation type. In liability claims, burns are often involved in cases pertaining to product failures, workers’ compensation, premises liability, vehicle accidents, and more. Paraplegia is a frequent side-effect of spinal cord injuries, and it results in the loss of muscle function and feeling below the waist. In addition to new life challenges, those who suffer paraplegia due to an accident-related injury also face expensive emergency treatment and rehabilitation costs. Damage to the spinal cord can have serious consequences that are among the most difficult and expensive injuries to treat. The physical, financial and emotional impacts of these injuries can be tremendous. Spinal cord injuries are often categorized as complete or incomplete. A complete injury occurs when the spinal cord is severed, causing paralysis to areas of the body below the injury site; in an incomplete injury, the spinal cord is damaged, but there is still some sensation or motor function below the injury site. Organ and internal damage can result from both accidents involving traumatic impact such as a vehicle accident as well as from medical malpractice, surgical errors, bad prescription drugs, and defective medical devices. Personal injury claims can be created when a person is injured in an incident by a person or group that acts negligently or recklessly, often while violating the law in some manner. If you were hurt in an accident caused by someone else’s actions or even targeted by violence, you may have a personal injury claim. Common personal injury accidents include auto accidents, slip-and-falls, dog bites, medical malpractice and being harmed by a defective product. It may be obvious that your incident allows for a personal injury claim, or you may not be fully aware of whether it qualifies. Speaking with an attorney and collecting evidence concerning the incident will help you to better determine if you have a claim. Once you believe that you have a claim, do not wait to begin taking action. The sooner you start to form a case, the better your chances are of success. Get in touch with an attorney and decide on a course of action for your case. Additionally, collect evidence from the scene of the incident, get in touch with people who witnessed your injury and undergo a medical examination if you have not done so already. All of these pieces combined can create a strong and successful case that proves who injured you, how you were injured and what compensation you should receive. Knowing what to collect, how to present the evidence and how to deal with at-fault parties and their insurance providers is one of the many perks of working with a skilled attorney. One of the most difficult losses that results from a serious injury is the cost of medical care. If you have been injured by someone else or an organization, you can hold them responsible for the incident and the injuries you have suffered. Success in your case means that you will receive compensation, which pays for many different types of losses, including past and future medical bills. The cost of hospital stays, surgeries, medical evaluations, medication, rehabilitation and any other medical care that resulted from the injuries or illnesses caused by the at-fault party can be paid for by your compensation. Get in touch with an attorney at the Kiley Law Group to better understand what may be eligible for compensation in your case and how much you will need in order to properly cope with your losses. A personal injury case will seek compensation from the at-fault party for all losses that came from an injury. That includes any lost wages that resulted from being temporarily unable to work or unable to work ever again due to permanent disabilities. Proving how much you lost and how your ability to work has been impacted can result in full and fair compensation. In the event that you were injured while on the job, you can seek workers’ compensation benefits, which include the wages you have lost while unable to work. This will be paid by your employer and his or her insurance provider, easing the hardship of not being able to support yourself due to injury or illness. With the help of an attorney, you can understand who should be held responsible, whether there are multiple at-fault parties and what you will need to do to prove fault successfully. In the aftermath of an accident, it is important that you get in contact with the insurance company of the person who harmed you as well as your own provider in order to establish a claim and make sure that the incident is recorded. However, be aware that insurance companies and their representatives are focused on limiting or completely eliminating any sort of payments that they must give to you. As such, they will try to disprove your claim or get you to agree to a specific amount of compensation, which is likely far below what you truly deserve. If you agree, you will be unable to pursue more compensation in the future. Knowing what you should and should not say to an insurance company and what steps should be taken in order to have a successful claim is crucial to your success and recovery. Getting in touch with an experienced attorney will help you better understand your case and make the right choices. The answer is not as simple as it may seem. It all depends on the various factors involved in your case and whether it will need to go to trial. Collecting your evidence and presenting your case may take some time, leading up to negotiations in order to properly craft a successful claim, investigate the case, collect medical reviews, and process paperwork. If negotiations in your claim do not result in a settlement, your case may need to go to trial. This will extend the length of your case, but it may be the only way to receive full and fair compensation, since many insurance companies will fight to prevent paying needed compensation. An experienced attorney will work with you every step of the way, preparing for any defenses presented by insurance providers, and knowing what to do far in advance. You can also be prepared for how long your unique case will take so that you can still cope with your losses and recover to the best of your abilities until you receive needed compensation. WHAT CONSTITUTES PREMISES LIABILITY IN MASSACHUSETTS? Premises liability refers to the responsibility of the owner of a piece of land or occupants of a property (such as a business, restaurant, etc.) when a person is injured or killed on that property due to negligence. The idea behind a premises liability case is to protect innocent victims after they have been injured due to negligence and allow them to seek compensation for their injuries from the person who was responsible for maintaining the safety of that area. For example, if a patron walked into a restaurant and slipped on an unmarked, just-mopped floor, causing injury, under premises liability they would be able to sue the restaurant’s owner in civil court to receive compensation for their medical bills and other related costs such as missed wages (if their injury prevented them for going to work or resulted in permanent disability). Any business that operates at a physical location is expected to provide a safe environment for their employees, customers, vendors and other visitors to the location. When they are negligent in providing that basic safety and people are injured as a result, they are responsible for those injuries. This is a question that clients often ask at their initial consultation. At this point in the process it is a question that is impossible to answer. Personal injury cases are complex by nature and require substantial analysis to evaluate. It is impossible for an attorney to give you a value until he or she has had a chance to examine every aspect of your case including its strengths and weaknesses. You also have to reach a medical end in regard to your accident related injuries. Experts are often necessary to evaluate clients with more serious or complex injuries. Be wary of an attorney who tells you what your case is worth or guarantees a specific result at your initial consultation. WHO IS TOM KILEY AND WHAT SETS HIM APART AS AN INJURY LAWYER? Soft-spoken, yet hard-hitting. Unfailingly kind, yet unflaggingly perseverant. Boston personal injury lawyer Thomas Kiley, Sr. is the epitome of the West African proverb: Speak softly and carry a big stick. When you listen to people talk about Tom Kiley, you begin to see two very clear pictures develop. Clients and friends will tell you about the soft-spoken, dedicated, compassionate man who lives and breathes every case he takes on. Even interviewers comment on Mr. Kiley’s gentleness and mild-mannered appearance. But those same interviewers also give you a glimpse of the Tom Kiley known to his defendants: sharp-minded, hard-hitting and tenacious. Kiley enters the courtroom carrying a very big stick. In 1988, Suzanne Perney dubbed Tom Kiley “The Million Dollar Man” in the Boston Herald, due to his success in personal injury law. Mr. Kiley has become well-known for his million dollar case results. And what has he been doing over the 20+ years since the Herald article? Pretty much the same thing that got him noticed in the first place: carrying on a tradition of excellence, fighting big insurance companies and corporations with a bull-dog tenacity, winning large settlements for those needlessly injured or lost, and earning the trust and respect of his clients and peers. But how did Tom Kiley come to be the Million Dollar Man? From his reasons for going into law to his current practice and even to the building Kiley Law Group inhabits, Tom Kiley is a man of tradition. Mr. Kiley is a second generation trial lawyer. When he was a high school student, he often accompanied his father – a plaintiff trial lawyer – to court when he tried cases to a jury. “My dad is a great lawyer and my mentor,” Kiley says.”I knew, even as a teenager, that I wanted to be a trial lawyer like him.” Family history inspired Kiley to delve into personal injury law. His great grandfather, an Irish immigrant, was grievously injured while he worked in the textile mills. He ultimately died as a result of his injuries, leaving a young widow and four children without husband or father. Kiley’s family history and his father’s tradition of excellence combined with his love for cases in which an average person who had been needlessly injured or had lost a loved one due to someone’s negligence could hold even the rich and powerful accountable for their wrongful acts led him to his current law practice. Kiley’s love of tradition extends to the architecture his practice has inhabited over the past 40 years. Kiley Law Group currently occupies an office in Andover, which is infused with historical significance. Their Andover office is housed in a historic Andover Building, which was originally part of Shawsheen Village, a model mill town created in the early 1920s by William M. Wood. Wood was a millionaire industrialist – wealthier than Bill Gates in his day – and president of the American Woolen Company, the largest wool textile producer at the time. Shawsheen Village slowly fell apart with the collapse of the New England textile mill industry. Over the years, many of the original buildings have fallen into disrepair or have been replaced by discordant contemporary architecture. Andoverians, however, are working to rehabilitate and revitalize the area, developing plans to find unity again in the architecture of Shawsheen Village. Kiley and his team believe that they are as responsible to their business homes as they are to their clients. By locating themselves in the Andover Building, they do their part to preserve the rich history of the Andover area. Tom Kiley, Sr. is continuing the tradition of excellence by welcoming his son, Tom Kiley, Jr. into the Kiley Law Group fold. This father and son law team brings a 40-year-strong winning tradition to bear on behalf of their clients every day. Juries are sensitive to the cost of medical liability. In the current atmosphere, a lawyer who is able to win a verdict for victims in these very difficult cases is doing very well.’ Most malpractice suits fail, he says. And yet, Kiley was successful enough to be dubbed the Million Dollar Man. Not much has changed in regards to suspicious juries and the difficulty of winning these cases. Very few lawyers in this country have the bulldog obstinacy that Kiley has. … [I]t was clear to the jury that Kiley had done his homework. He dug up records and notes that no one, not even the doctors, knew existed. Kiley’s tenacity propelled him to fame when a case he helped win in the 1980s was turned into a book and movie in the 1990s. The book, A Civil Action, was written by Jonathan Harr and chronicles a water contamination case in Woburn, Massachusetts. Kiley fought and helped win a substantial award against two major corporations for families who had developed leukemia as a result of a polluted local water supply. In 1998 the book was released as a movie by the same name. 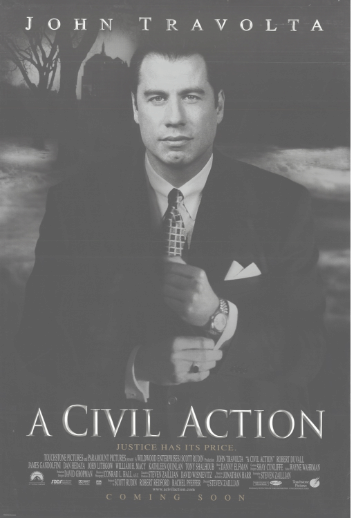 A Civil Action starred John Travolta and Robert Duvall, who garnered an Oscar nomination for his role. Over 20 years later, Kiley is still taking on the tough cases, digging up hard-to-find information and holding accountable even the rich and powerful for their wrongful acts. If you speak with Kiley’s clients, they will speak of his tenacity or his hard-hitting tactics, but first of his compassion and kindness. Tom Kiley does not approach each case as a collection of data he’ll use to achieve a desired result. He first approaches each client as a fellow human who has endured devastating hardship and who deserves to be heard. To be successful at this type of law, you have to have enormous empathy for people [Kiley says]. Their burdens become your burdens. Their justice is in your hands. You have to be able to communicate to a jury just what life is like from the victim’s perspective. To do that, you must suffer too. The respect and care with which Kiley approaches each individual who consults with him is what garners their trust. He is “awed by the responsibility they are putting in my hands,” and his clients see that. To them Tom Kiley is not a simple lawyer, he is their champion. Time and again, you will hear clients speak of Kiley as caring and attentive. One victim of an automobile accident says she would recommend Kiley not just because of his expertise and high success rate, but because “He handled my case as if I were family. This combination of tradition, tenacity and trust has made Tom Kiley one of the most respected personal injury lawyers in the Boston area. “I highly recommend Tom Kiley to anyone who has a serious injury,” says Pamela F. “In my view he is one of the best attorneys, not only in Andover, but in Massachusetts. Kiley believes in helping others. It’s why he became a lawyer. But his good work does not stop at the courtroom door. Kiley has authored several books that act as roadmaps for those enduring the devastation of personal injury or the injury or death of a loved one due to the negligence of another. His book about dealing with the injury or wrongful death of a child was inspired by his support of the Franciscan Hospital for Children. Not only did Kiley include a chapter in his book about the amazing work done at Franciscan, but he also led his law firm to donate funds to the hospital to help purchase new medical-grade pediatric cribs. Over the decades, we’ve helped so many others going through what you may be dealing with now. You’ve been injured and you think you might have a case, but there are so many unknowns. You don’t have the information you need to make a decision about whether to pursue a claim. Our attorneys are happy to review your case with you and answer all of your questions before you decide whether to work with us. It’s completely free, and we’ll even come to you. When you work with the Tom Kiley Personal Injury Law team in Massachusetts, you’ll see what it’s like to work with a team that comes from true experience. The confidence we bring to the table having been through just about every personal injury case type and situation you can think of. You can rest assured that the difference we make is about how we handle your case. It’s about the difference that attention to detail makes in your outcome. About how that we will never settle for less if it is in your best interests to take a case to litigation in court. And about how that we will never back down in the face of the significant legal power that insurance carriers wield.